The Rainbow Floor, the first of its kind at a Maine college or university, is for students who wish to live together on a community floor seeking to celebrate and support the lesbian, gay, bisexual, trans*, queer, questioning, intersex and allied (LGBTQIA+) community at USM. We have both a first-year Rainbow Floor in Upton Hastings Hall, and an upper-class Rainbow Floor in Philippi Hall. The Rainbow Floor in Upton Hastings Hall is also on the same wing with our new Social Justice LLC. If you would like to live on the Rainbow Floor as a first-year student but wish to take a different LLC themed COR lab class, or would like to live on a different floor but take the Rainbow themed lab class, please contact Erica Leighton at erica.e.leighton@maine.edu. 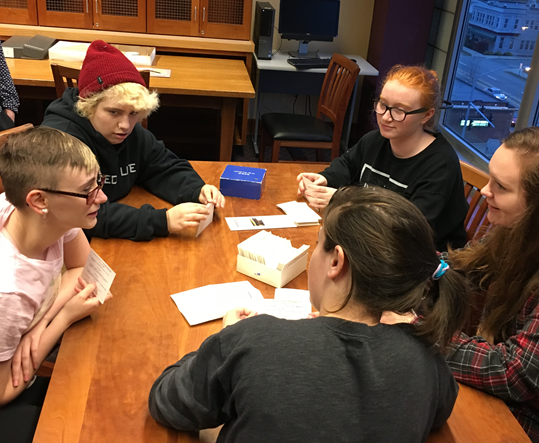 Residents in the first-year Rainbow themed LLC engage in educational and social programming opportunities geared towards increasing knowledge and understanding of sexual orientation and gender identity and expression. Students may participate in training opportunities around creating safe spaces, addressing and reducing hate and bias language and incidents, and increasing community leadership opportunities.